PTSD Post-traumatic stress disorder? How Much Compensation Can I Claim? Post-traumatic stress disorder, PTSD as it is more commonly known affects a person’s mental state after they experience a traumatic episode or event in their lives. PTSD is a mental illness that can alter a person’s state of mind, how they feel and how they deal with certain situations. People who are affected by PTSD may have experienced abuse, been involved in war, experienced a major trauma in life even those who have been involved in a road traffic incident or those who have jobs that may involve them dealing with traumatic situations can experience PTSD. The surrounding area and society can become a major issue for sufferers of PTSD if certain things act as cues whereas they trigger a physical or mental emotional state that completely send the sufferer in to panic. Not all people who have faced a traumatic event or series of events develop PTSD, in fact most people do not. It is more common in those that have suffered at the hands of another especially if it has been physical abuse than those that have gone through a traumatic event such as a natural disaster to be affected by PTSD. Post-traumatic stress disorder does not affect people before the incident has taken place it is a consequence of an episode or event that has caused a person great stress and anxiety not to mention a heavy weight on their mental state. It was once saw as a stress disorder however as time as moved on and more investigation have been based on PTSD the classification has changed to trauma and stress or related disorder which seems like a more fitting name for the condition and its effects on the sufferer can far out weight stress related symptoms. People who have certain jobs can be more at risks of developing post-traumatic stress disorder especially if they have careers in the police force , the army, fire fighters, ambulance workers, emergency service workers, health care workers and physicians, those that have driving jobs etc. as all are likely to experience events that leave lasting effects on their lives, some so severe that their mental state is completely altered. It is very often the case that suffers of PTSD will try to black out the event that has led to such a mental state, at the very least they will avoid entering in to conversation that may lead them to talk about the event and to the far extreme suffers may develop amnesia so that they can’t relive that part of their life. PTSD is very serious as are many mental health conditions, although it is not always visible to see the affects do not take it for granted that those who suffer from such disorders are not suffering greatly. It can completely change a person’s life, taking control of their thoughts and how they act. How much Compensation will I receive for PTSD? What Compensation Amounts Could I Receive For PTSD? PTSD after a Car Accident, can I Claim Compensation? PTSD caused by Work can I Claim? PTSD caused by the Armed Forces or Military can I Claim? Post-traumatic Stress Disorder (PTSD) can be defined as a mental disorder that is triggered by a traumatic part or single event in a person’s life, it has to last for over a month from its offset and it can cause the person to relive the event through reoccurring flash backs, disturbed dreams and emotional thoughts of that particular time even though the person wants to block any recollection of what has happened out their minds. Those that experience thoughts and flash backs of a traumatic time do not always experience PTSD they have to be severe enough to cause the person to become highly stressed and cause dysfunction and be disruptive to their everyday life. Although the male population are more likely to experience a traumatic event in their lives as the majority of jobs that are high risk of causing PTDS are occupied by men, women experience the more high end of events that lead to PTSD like spouse violence and sexual abuse. PTSD can occur in people who have a mental state that is considered completely stable before the traumatic episode occurs. There does not have to be any evidence of any other type of mental illness in order for PTSD to affect a person. The symptoms mentioned are not limited to as people may experience different kinds of symptoms, not all people will experience all the same sign and symptoms some may even experience more than others, while people may suffer from PTSD longer than others. Those that suffer with PTSD can totally have their lives disrupted by what they have experienced, constantly asking themselves why it has happened to them not allowing them to move on with their lives just reliving the event over and over again. They can have images that keep recurring, and sleeping can also be a major issue as nightmares can become very disturbing. Society can become a problem, sufferers of PTSD will avoid anyone or anything that reminds them of what has happened as it sparks recollection and uncontrollable emotional states. Irritability along with not being able to concentrate can cause suffers to become angry and agitated much of the time. Symptoms can take on the form of other mental issues such as depression, anxiety, becoming scared or frightened. Those that are suffering with PTSD may use alcohol or even begin to self harm to as a way of relieving the pain they are experiencing, destructive behaviour can become an issue and even some turn to drug abuse. Post-traumatic stress disorder can be triggered by any number of different traumatic experiences a person may have encountered. The disorder can affect people of all ages, although it is not present before the cause of it, it can happen at any time in a person’s life when they are faced with an experience that has mentally impaired them. The fear that is felt during this traumatic experience can be so disturbing to a person that their life becomes controlled by it through PTSD. Shocking statistics have illustrated that one in three people who are exposed or experience an inconceivable event go on to develop PTSD. There is no sufficient evidence to why some people suffer with PTSD after a severe trauma and some don’t however, there are more high risk trauma experiences such as abuse which has a higher percentage of triggering PTSD. What is clear though is that those who have suffered or suffer from depression or anxiety and have never fully recovered may be more susceptible of suffering from PTSD after a petrifying experience. 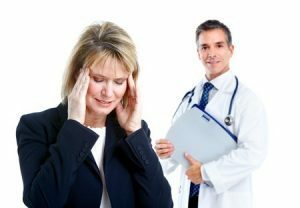 Deciding that making a claim for PTSD is probably the hardest part of the compensation claiming process, making the decision that you want to go ahead and pursue compensation means the hardest part is over. Law can be very tricky to the untrained eye so using a specialist solicitor who has a lot of experience dealing with PTSD cases can be the key to gaining the maximum amount of compensation. Undertaking any personal injury case can be a struggle for those who are not trained in law, it is easy to get bogged down in legal jargon and become overwhelmed. Personal injury solicitors are trained specifically in this area and good ones know how to represent you properly so that your case is handled with the highest degree of professionalism. It is possible to make a personal injury compensation claim for PTSD. However it may not be as straight forward as other personal injury claims. PTSD affects the mental state mostly, more so than a person’s physical being so it may be harder to diagnose and actually put a compensation amount to. Deciding how much a person is effected by the disorder can be complex along with the implication is has on a person’s life therefore deciding how much should it be valued at becomes much more difficult. If a diagnosis has been made of PTSD then making a claim can be much more easier. Calling a post-traumatic stress expert solicitor can be key to giving your case the start it needs. You will be asked to go through several questions at the beginning just so the case can be evaluated, everything else after that is completely straight forward and should need little import from yourself. A medical examination will be needed to estimate the extent of the PTSD and the future prognosis. It is important that when making the initial call to the solicitor you have knowledge of your medical history and present medical state plus any medication and treatment you are receiving so that the solicitor can make informed decisions. Putting an actual amount to a PTSD compensation claim can be very difficult as all suffers will suffer differently, there is no doubt that they will have similar aspects but no two people experiencing the disorder will experience it exactly the same. It is not hard to see why people will have all different compensation amounts when it comes to their PTSD claims. People can experience PTSD in different ways and be affected by different symptoms; some may have it much longer than others, while others may have more disrupting and severe symptoms of the disorder. Below is a stable that splits up PTSD into categories in which compensation amounts can be applied, these are not fact but have are there to illustrate the types of amounts of compensation that have been awarded in the past. These figures should never be taken as fact just a guide. You can use the table below for PTSD compensation claim calculator, if you have had you PTSD categorised in to how serious it is. The table consists of PTSD rate for 2016. Severe PTSD £47,000 - £81,000 Can be as high as £400,000 with loss of earnings. PTSD amounts can be higher especially if loss of earnings is added. Serious PTSD £18,000 - £47,000 This figure represents the seriousness of the disorder but it is not severe enough to warrant maximum figures. Medium PTSD £5,500 - £18,000 Those who suffer with medium PTSD may make a full recovery in a shorter time than someone with Severe PTSD. Mild PTSD £3,100 - £5,000 A mild case may only show certain symptoms in their mildest form. There is a very clear demand for those who want to claim PTSD after a road traffic accident. Often the scars that are left within the mind can be much more severe than those left physically. PTSD can totally take over a person’s life so it only seems fair that if people are suffering from PTSD due to a road traffic accident that they did not course that they deserve the right to make a claim for compensation. Victim’s lives may be so disrupted due to the PTSD triggered by the event that life as they once new it i.e. work, family and social life has come to a halt meaning that they need compensation. As with road traffic accident’s it is possible to make a claim for PTSD compensation if you have been involved in a traumatic event while at work that may have been prevented by your employer. In this guide is has stated that certain careers and jobs carry a higher risk to employees suffering from PTSD due to work experiences that they may be exposed to. The most common jobs that involve such a risk include armed forces, the police force, fire fighters, accident and emergency along with medical staff etc all of which may at some point witness or experience traumatic events that cause them to suffer with such a mental disorder. It is fair to say that those who pursue such careers are aware of the dangers and situations that they may be involved in, however in some situation employers could have protected their employees from witnessing or being part of the event preventing PTSD from ever being an issue. Many jobs other than those mentioned above can carry a certain risk of PTSD even jobs that are not common with the disorder but a traumatic event has occurred can leave employees with PTSD. People can have horrific and incomprehensible accidents at work that can scar their mental state and equally lead to PTSD. 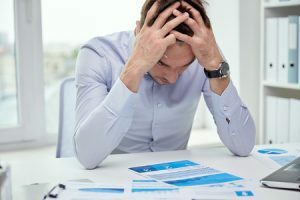 It is difficult at the every initial stage to even put an estimate to how much compensation may be awarded, workers compensation PTSD settlement can range from those who suffer with severe to those who have mild PTSD. Workplace PTSD is becoming more common and it can be related very closely to highly stressful jobs, bullying in the work place and a feeling of total overwhelming. Post-traumatic stress disorder is quite common among military personnel. It is not hard to see why even when the public only see snippets of what is involved when it comes to the armed forces and war. There are many veterans who return from war mentally scared by what they have witnessed, experienced and been part of. In reality it would be strange for soldiers not to feel the effects war can have on them. It is so alien to a lot of the human race as by and large it is not something you see every day and is really only witnessed through the news or how it is portrayed in the movies. In reality though it is something very much more serious, something that a lot cannot even comprehend or even begin to picture. War veterans do a remarkable, brave and heroic job something which many could not achieve. Fighting for the sake of their country and following through what is right is undoubtedly something to be applauded. However it comes with its fair share of unpleasantness to say the least. Often soldiers come back from war unable to adjust to everyday life, feeling irritable, emotionally numb and unable to connect with society and the people around them. Panicking, feeling on edge and isolated are even more of the symptoms that returning soldiers may feel, these symptoms are key to the diagnosis of PTSD and what also can be known as shell shock or combat stress. It is not rare but many find it hard to come to terms with what they are dealing with, in turn do not seek help and their disorder worsens at a rapid rate. It is possible for military personnel to make compensation claims for PTSD if the symptoms of PTSD go undiagnosed and untreated, allowing soldiers to repeatedly go back to duty. Although the illness happens during active service it is the negligence of failing to notice the disorder that allows military and armed forces to pursue a claim for PTSD compensation. Pursuing a claim for PTSD can be done so through a No Win NO Fee agreement. There is no financial risk to any military or armed forces wanting to pursue a claim as if the case does not succeed then there are no fees to be paid. There was a law change in 2013 which meant solicitors now have to get part of their fees, known as the success fee from their client’s compensation. Solicitors are no longer paid enough to cover their fees since the law change which saw a cap in how much they could claim from the opposing side. The success fee is usually 25% and is taken out the compensation that is awarded. We have an outstanding reputation, one that we are very pleased to have gained through our many years of serving the public. We are here to work for you so that you receive the compensation that you not only entitled to but the compensation that you deserve. Sometimes it is necessary to claim compensation in order for one to get back to life as they once new it or in as much as, compensation is not a gift it is a necessity. Our solicitors have decades of experience and have accumulated years of knowledge so that they are strongly equipped to handle your case and ensure that your compensation claim reaches its highest potential. A Claimant of a road traffic accident claimed £12,000 after being trapped in a car after she hit the central reservation on a dual carriage way due to being hit in the rear. She had common road traffic accident injuries such as neck pain, back pain headaches but what was more worrying was her mental state. She constantly relived the accident over again each day, found it difficult almost impossible to get back in a car and had nightmares. Military PTSD compensation payouts are all different, one veteran after 14 years service to be left suffering with PTSD for the rest of his life received £160,000 after battling for years to get this maximum settlement. A security guard was attacked by two shoppers who he thought was stealing, he suffered injuries to his head, fractured skull which required stitches and other physical bruising to his body. He could no longer continue to work as a security guard, he became depressed and withdrawn, suffering violent flash backs. He was diagnosed with PTSD and awarded £150, 000 in damages.